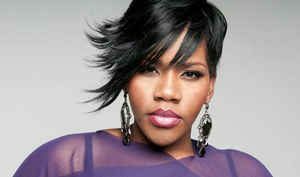 At this juncture, Kelly Price has learned to loosen the reins on her creativity. Sure, she still reaches for a pen-and-pad and rattles off lyrics into her Dictaphone, but she’s also learning to be more patient, allowing the songs to reveal themselves. Sometimes, the words will come. Other times, she’ll hear the song as a fully-orchestrated composition. Either way, the results of her efforts are illustrated beautifully, truthfully, on her new album entitled, simply, Kelly. On the touching ballad, “I’m Sorry (My Apology),” also produced by Crawford, Price sings of the freedom that comes from practicing the art of forgiveness. The song takes off where her gospel hit, “Healing,” left off four years earlier. “We always hear about why it’s important to forgive other people, but so many times we continue to punish ourselves for [having made] bad decisions,” she notes. “I believe that God is displeased when we’re so hard on ourselves.” When she closes with, I wrote this song to say that I love me…and I forgive me, perhaps you’ll consider releasing some of your past shame. That was her intention. Speaking of letting go, she joined forces with Warryn Campbell to create the ever-candid testimonial, “The Rain.” Originally slated for inclusion on the motion picture soundtrack for the Oscar-nominated film, Precious, Price later snagged the song for herself. Having weathered her share of personal storms – think family tensions, homelessness, molestation, body image issues and teenage pregnancy – the lyrics were drawn from her strength and ability to overcome. “Get Right or Get Left” and “A Little Something, Something.” both of which remind you of the ballads of yesteryear, then there is the groove infused mid-tempo “Feels So Good” and the lighter uptempo flow of the Warryn Campbell produced “And U Don’t Stop.” It’s a new direction for Price and she seems to like it. “I love a good, party record, but I still feel like I need to sing it. Uptempos have been challenging for me in the past because I knew that nobody would believe me singing ‘bubble gum.’ I don’t believe me singing ‘bubble gum’,” she laughs, “but this song worked. The second of three daughters, Price was raised in Queens, New York, in the church. That’s where her musical roots were planted, and tended to, early on. It’s where, as a two-year-old, she began singing in the children’s choir, where she sang her first solo at three and was fittingly-blessed with the moniker, Little Mahalia, a nickname given to Kellly by the teachers in elementary school after hearing her sing the first time. She’d go on to write her first song at seven and belt out her first solo in the adult choir and sing on her first studio recording all before her 10th birthday. “I grew up in a family full of singers and musicians everybody in my family wrote songs and played one or more instruments, everyone could sing and we are all self taught, no formal lessons or musical education other than what has been past on from one generation to the next”. Price, whose “strict, old school Pentecostal” upbringing restricted her from wearing jewelry, make-up and pants (long skirts were the preference). But like most creative spirits, Price was destined to soar far beyond her point of origin. And so, she has. 1998 saw the release of her double-platinum debut, Soul of a Woman, which featured the record-breaking single, “Friend of Mine.” The song made history as the first to garner the #1 spot on the singles chart without an accompanying video clip, a rare feat during the era when music videos were the driving force of popular culture. She returned to center stage three years later with the platinum-plus seller, Mirror, Mirror, led by her remake of the R&B classic, “As We Lay,” and followed up with the gold-selling holiday collection, One Family: A Christmas Album in 2001. Three years after releasing Priceless, she returned to her roots for This Is Whom I Am, a live gospel album recorded at her church home in Long Island. The album included the uplifting single, “Healing,” which not only reached the top of the gospel charts, but was also credited and awarded at the 2007 ASCAP Awards as one of the top five songs played across both R&B and Gospel genres during 2006. Along her journey, she’s collaborated with the likes of Mariah Carey, George Michael, Elton John, The Isley Brothers, Brian McKnight and Sean “Diddy” Combs as well as Faith Evans, Whitney Houston, Donnie McClurkin, Eric Clapton, the late James Brown, Shirley Murdock. She’s also expanded her reach as a model for Lane Bryant and Ashley Stewart and taken her talents to the screen and stage with roles in Soul Food, the series, Bringing Down the House and the stage plays Why Did I Get Married? and The Bible Experience. In 2005, she added the title of ‘self-published author’ to her resume with the release of the inspirational tome, Inscriptions of My Heart. The audio book is currently in the works. For this new musical offering Kelly departed from the “machine” of the major labels where artists and their visions can often be sacrificed or lost. Instead Ms Price chose to do it her way and forged a musical partnership with Producer Warryn Campbell whose start up label My Block Records was just forming. A conversation led to a joint venture and the joint venture led to “KELLY”, a body of work that Ms Price calls her best yet.